NBA 2K18 archetypes have been revealed and there are plenty to choose from. Check out the images below. Big thanks to @iPodKingCarter. Im curious though, obvious a slasher but the second archetype... This past year was a pain because my 6'8 250 slasher couldn't shoot a 3 to save his mother. But I could do well on the playmaking side with the average (maxed slasher) playmaking. Im assuming I can hold my own making the simple easy pass to get assists but I'm unsure if I want sharpshooting as the secondary skill because I don't want to rely on that, I just want to knockdown open jumpers... LeBron has great defense so of course I'm considering that (HOF chase down in 2k17) albeit I can hold my own with the maxed average defensive stats. For me it comes down to not being one dimensional, so I can slash on offense, hold my own on def, do well on playmaking, but its between DEF & Sharpshooter..... thoughts? 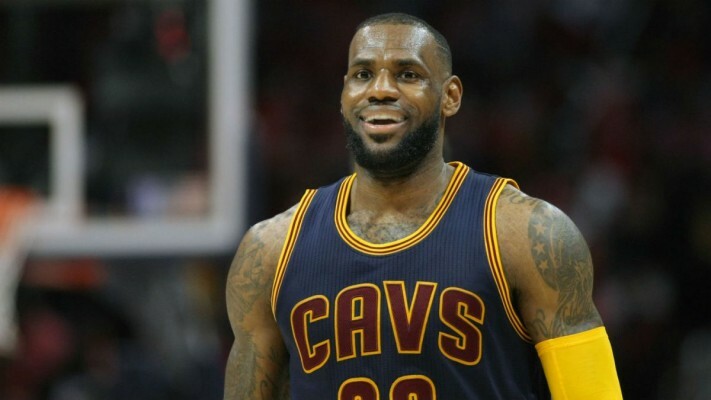 EDIT: I completely forgot how dominant LeBron is in the post-up game (another area I was not able to replicate in 2k17) Thoughts on a Slashing Post Scorer? Could be deadly if you can slash, post, playmake from the post, and not be a liability on defense.. I can give up 3 pointers or sharpshooting for that combo! Player Attributes locked again, the park is hurting this. not lets have 70 here and 25 here and 65 there and 95 in every other category and label that 99. Should be every category I can get 99. If there was no online then sure. However, since 2k is going the e-sport route there have to be caps. 99 for everything online would be a disaster. What's the archetype for if you want 99 everything? Except he didn't have 99 everything. Shot creating defender is MJ. Boom. Done. Yea best in everything is pretty silly. I liked the way it was last year cause it made you really decide what kind of player you wanted. This year is fine but I feel like having multiple archetypes is starting to get closer to have players be great at everything again. Finaly they broke up the attributes into more categories. I don't understand why they can't impose the caps online only. Let your player be a 99 in all attributes when playing the story mode, and just force the caps once you join a game online. Well if you want to be technical, no one has 99 everything. To get deeper, he was known for posterizing, known for his moves in the post as well as shot creating and defense. Im just really happy to see that the attributes are individual again. Caps dont bother me, they need to be there for competitive reasons. However, I have always hated the bucket system ever since it was introduced. It just doesn't make sense. Last year almost all bigs had no Shot Close cause they were forced to also buy Moving Shot with it. Just let me put up what I want to put up individually. Looks like 2K18 will finally have that again. Great! That's some odd wording in that thread title... There's a total of 189 different combinations; considering PG, SG, SF, PF, C and Pure/Hybrid choices. I need them to drop the MyCareer Blog. I know its coming soon with the surge of info being released and all the hype MyCareer has right now. Hopefully they dont skip the blog because of this event. no shot off dribble attribute to upgrade ? Wonder what the advantages of being a "pure" player is. More HOF badges and higher rating cap for you key attributes . Less overall badges though . now that we've seen the combo types or the straight types. lets discuss which ones we know will be a cheese fest waiting to happen? Playmaker + anything else. will be all kinds of cheese. its already bad now with a playmakers animations. If you dont have a lockdown on him. Playmakers probably Clip thru other defenders more than any other player. I assume thats to simulate his ability to not get the ball stolen. only problem with that is, what if the guy controlling him keeps dribbling right where i'm standing?Do i really need to be a lock down defender to grab the ball or tip it? thats crazy. So now you're going to deal with the Can't be stripped or the ball wont come loose playmakers and they will be able to hit all their 3's or dunk all over people. lol .its going to be hilarious. Sounds like you can access HoF-level badging, or at least can get more HoF badges. That, and probably truly maxed out caps for your archetype's specialties. They finally got rid of the bucket attributes...Thank the lord. Around the 24:17 mark you can see different combinations this guy put together also interesting when you combine certain playstyles you aren't blessed with a mix of badges. I believe this is a good thing though I would have hated to see a Sharpshooter Shot creator have HOF badges. Only Glass Cleaners and Post Scorers have HOF Brick Wall so it would have to either be a dual archetype with both or a Pure Glass Cleaner or Post Scorer. 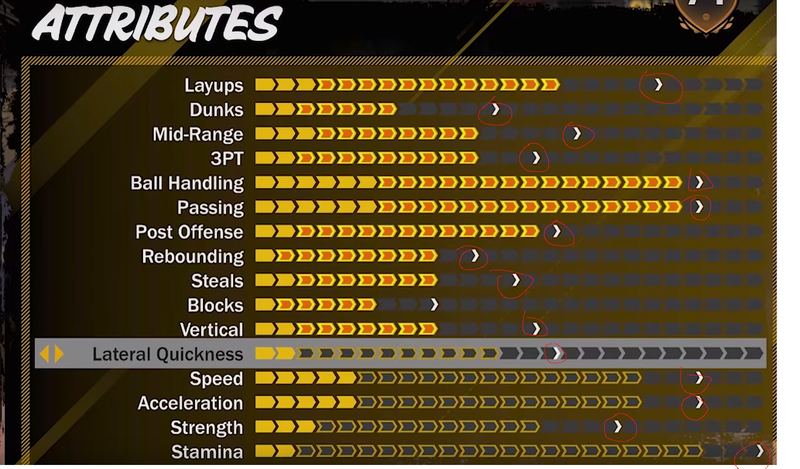 I've already posted in the dual archetypes thread but it looks like dual archetypes only get HOF badges that they share, Playmaker +Shot Creator only gets HOF Ankle Breaker for example. Oh god. If I'm right Slasher+Playmaker is what I'm doing. 2k17 I figured out what my playstyle was. 2k18 means I'm going Full Westbrook mode. Looks like you can't earn every bronze badge anymore . I think this is more balanced than I first thought. The word on reddit was the same as what Rockie is saying. To add, something along the lines of Defender+Defender gets HOF defensive stopped, some combinations don't even get gold. P.s. is it just me or is there only 1 archetype for defending again? What's the difference between the yellow caps and the white ones? Yellow cap is what you can get all the way up to an 85 (IE, buying VC to upgrade your player or grinding the VC). White caps are for when you upgrade your rep level to unlock more attributes. And rep level will be strictly related to online as in 2k17 (park, walk on)? I'm so happy about this. A really great change that will go under the radar next to everything else that has been and will be announced. Anyone know where I can find screen shots of the various big men archetypes? Really excited for all these possibilities. It's crazy. Also wanted to leave this here. All the information on duo archetypes and badges I could find on the streams. Feel free to add and use this data however you want. I'd love if we would have a complete list soon. They shoud be similar to those in 2k17. Oh crap you can upgrade individually now too? So I can upgrade my passing but not waste upgrades on ball handling? That's clutch. I just caught on to what Rockie was talking about. Why is there no 'shot off dribble' rating for SCs? That's for Defense / Athletic Finisher. I would guess you need either Pure Paint Protector or maybe Defense / something else to get HoF Rim Protector. ALL PG BUILDS IN 2K18: I watched a lot of streams today and made this table myself. Hope it's helpful. If you find errors, please tell me, it has been a lot of numbers. Try to make more but the streams mostly featured PG builds. Honestly PG, SG, SF are probably the same in terms of this, while PF and C will obviously differ. Nice work btw! Can you link us to some videos where this info is captured? I want to see what the full list of badged is but I can wait till the prelude if it's hassle. he'd be hard to recreate, but as long as hes strong as an ox and does EVERYTHING for his team, you'd be pretty close?.. I'm someone who personally plays with a slasher so I was thinking of doing a Giannis build where i go as a 6'10" Slasher-Point Forward, But i'm afraid i'll be losing too much speed at 6'10"
I saw that pure archetypes can have a bunch of gold/silver badges other than the 5 HOFs. Any idea if we are free to choose those extra gold/silver badges? The nine gold badges are likely all the slasher badges and the four playmaking badges. That would be crazy, but no unfortunately. I am pretty sure the game dictates all your badges and there highest level dependent on your archetype choice (es). It is all pre determined. Some badges you simply will not be able to get because of your position/type. I also saw that pure builds have about 4 gold badges . I wonder what all comes with the pure Lockdown build . To me this is clear for the dual archetypes, who'll get the gold badges associated to the two archetypes, I suppose. But, for instance, if I am a pure SF point forward (passing as both primary and secondary archetypes), on which basis the game would decide my gold/silver badges? Well, my hype just completely freakin' died. Apparently it's going to take as long to get to 99 as it did to reach Legend in 2k17. Why the hell would they do this? Seriously.. I've been under the impression that each archetype was designed by the devs, and the game decides nothing. Maybe I'm wrong, I'm not sure. to get people to invest in the grind. i just hope that we can transfer over our OVR to a new player. I don't want to be stuck with one. also, i think that getting to 99 will be easier than it is in MyPark coz every game mode will count, unlike in previous where it was only walk on and park. I'm 10% off being able to go shirtless having played hundreds of walk on games, and a few park games but never invested time in it. I can't imagine it being too difficult to get to 95 if you have a pro am team. I honestly don't have a problem with it. If you get to 98 you get to talk to RAD on 2k TV. People don't have to be able to get to 99. 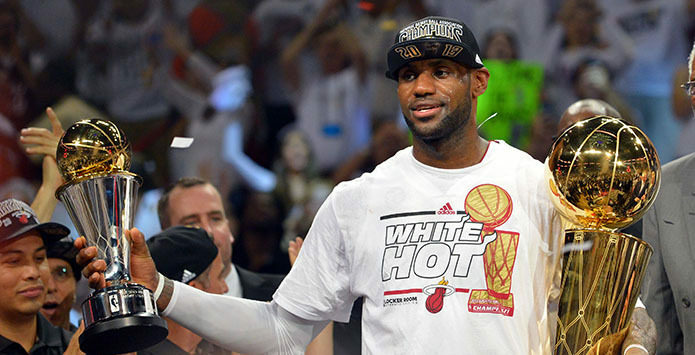 How many Lebrons are there in the world, not many. I'm ok if I don't get there. It's a serious accomplishment if you do but I have a life to live and I'll be fine if I only get to the low 90s. That has absolutely nothing to do with holding a player's overall hostage. Simply put: It shouldn't happen, ESPECIALLY if it's going to take just as long as it took to get Legend in 2k17. That's insane. Only thing I worry about ; is those of us who like to have multiple characters. Seems like too much of a grind for 2 myplayers which I hate. If our ratings are true to scale this time a 99 won't matter to me anyway . Someone posted a spreadsheet and there is no Shooting Guard 3pt/defender. Is this TRUE??? That just means they didn't find a screenshot with the info for that build. I'm almost certain that it exists. Doubt it. Our ratings have been false since 2k16, so I don't see them changing that anytime soon. I better be able to get contact dunks with gold posterizer! Now, what I been anticipating is the XP progress will slow down as your overall progress to the point that, ya, you start to feel like you're working with a SS3 plus progress bar. It's really the perks that are the loss for me. 99 overall is not enticing too me. I don't endeavor to max every attribute. I do like the reward trappings that come with higher overalls though. It's like getting the mascots and skateboards + VIP status and VC bonuses: I like these prestige rewards. Last year we got nothing for playing ranked Pro Am Games. This year we will. That's a monumental difference for many. Just does not add up for each combo to have a different number of silvers, bronzes, and total badges if in fact you could choose them yourself. Seems like it would be gold/hof and bronzes you choose with the same total badges for everyone. I don't think you can choose. Will be pleasantly surprised if you can. Any information on VC prices out there? The ability to have 99 attributes in all categories would ruin the park. Everyone would just create 7,3 99 everything centers with Russell Westbrook speed, Allen Iverson handles, and Stephen Curry shooting abilities just like in 2k10. I've heard the prices are all the same, but the two cheapest VC packs no longer exist. While true it shouldn't be like that though. The current system penalizes you for wanting to make different builds and try out new combos. Who has the time to grind out 3+ builds and get them to the 85+overall range most Park/Pro-Am players are at. I get why they do it the way they do(for VC) but I really wish they used the FIFA pro-club method where you can change your guy whenever to suit what kinda position and style you feel like playing. I think I more sold on the hof difficult shots and tireless scorer with gold pick & roll maestro. That combo with a quicker ballhandler seems super lethal. I think that three will adequate assuming playmakers and shot creators can shoot. I always boosted my playmaking on my shot creator. Me personally going below the shot creator ballhandling seems risky. Overthinking it all. Might just try all three honestly. For me it comes down to whether or not 2K will punish us again for taking moving shots. Its frustrating having a Shot Creator and missing moving shots because you're penalized for doing what your player is made to do. I loved my shot creator last year but will change if moving shots are penalized again in 2K18. The make/miss should be based on attributes and level of contest. SF: Whatever can replicate KD closest. Still dont know what combo that is, lol. I'm actually finding it pretty funny how almost no one wanted to be a Shot Creator in 2k17, but a ton of people seem to be flocking to it in 2k18, lol. I am not, i had 7 characters in 2k17 and shot creator took the biggest hit when they finally stopped patching at the end. No more moving shot attribute is also a concern. Unless i am missing something. Mike wang said this is how it would be next year besides the automatic greens. They wanted to figure it out for 2k18. The only change outside of that is they nerfed screens. I am sure they waited on purpose bc glass cleaner was a serious grind. This would be my favorite thing, ever. Had my Shot Creator from the prelude and it was super fun until 2K patched it into the ground, lol. But I'm pretty sure it has alot to do with 2K saying that shooting aka Sharpshooters wont be as effective as in 2K17.